Did you participate in a book challenge this year? There are so many fun ones it’s hard to choose, but I completed my first year with the To Be Read Pile Challenge. It’s a contest to complete 12 books that have been sitting on your shelf for over a year. The prize for all those who complete their 12 books is a chance for a $50 gift card to Amazon or Book Depository. Pretty awesome, right? To learn more about the To Be Read Pile Challenge click the 2013 link above and sign up for next year’s contest! Geek Love is the story of the Binewski family, a bunch of circus freaks taking their act on the road. That, and they actually create their act. Al and Lil Binewski willingly subject themselves to various mixtures of drugs in hopes of birthing the most wonderful freaks and geeks for their family show! There’s Arturo, the aqua boy. Iphy and Elly the siamese twins. Oly, the dwarf hunchback. And their newest member, Chick, who’s the most special of all. The story actually jumps around a bit between the family’s early years on the road and where they ended up down the line. The shining glory of the story is in its bizarre, twisted writing. It’s strange phrasing of words reminds me of my first encounter with A Clockwork Orange by Anthony Burgess. 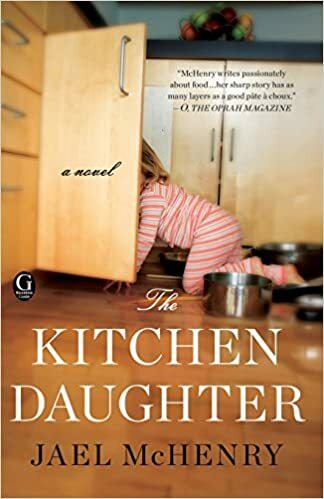 Here’s a sample, one of my favorite descriptive paragraphs wherein the father is telling the children about his wife’s glory days in the ring as…the woman who bites heads off of chickens! She fluttered around like a dainty bird, and when she caught those ugly squawking hens you couldn’t believe she’d actually do anything. When she went right ahead and geeked ’em that whole larruping crowd went bonzo wild. There never was such a snap and twist of the wrist, such a vampire flick of the jaws over a neck or such a champagne approach to the blood. She’d shake her star-white hair and the bitten-off chicken head would skew off into the corner while she dug her rosy little fingernails in and lifted the flopping, jittering carcass like a golden goblet, and sipped! Absolutely sipped at the wriggling guts! She was magnificent, a princess, a Cleopatra, an elfin queen! That was your mama in the geek pit. It’s quite entrancing really. I loved the writing. But, the story did wane a bit for me. I would’ve been perfectly content reading more stories about them on the road together as youngsters. As the story unfolded to their later years, and the subsequent demise of the Binewski circle I began to hate many of these characters. I do think this book would make for a fascinating movie. And if I were a make up artist/creature creator I’d so want in on the production! Visually, I love the book. I am a big Goodreads fan and check out other reader reviews on there often. It seemed most readers were really divided. Cumulatively, Geek Love holds a solid 4.0 rating out of 5 stars, which is pretty dang high. But reader response was quite split between full on love and then other 2.0 ratings like myself where it was a lot of I really liked it, but… statements. Don’t take my word for it, read it yourself! It’s certainly an interesting premise! And 2013 is almost here! 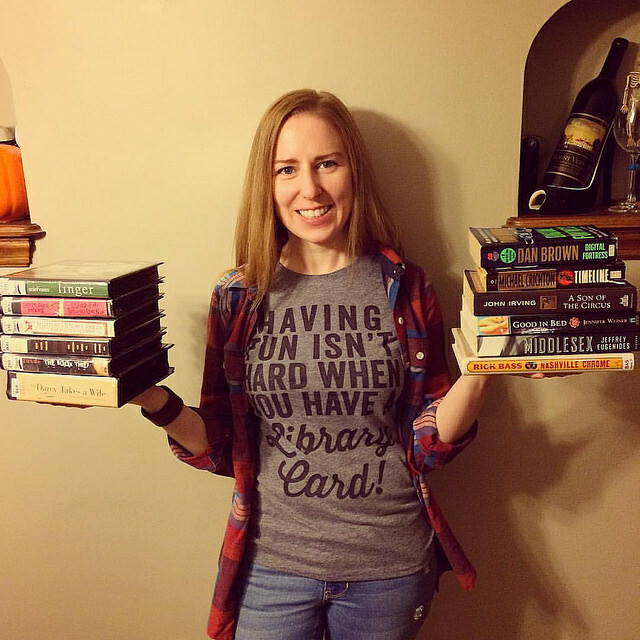 Sign up for the To Be Read Pile Challenge at Roof Beam Reader. See you there! Hey ROW80 friends! I hope all of you enjoyed your Thanksgiving! Mine was short but sweet since my parents came up for the holiday and spent it with my honey’s family. Everyone hit it off splendidly and I was happy to have a bit of home before starting my midnight shift for Black Friday. I did an 11 hour shift that day and worked through the weekend, which equaled about 7 days in a row. Today was my first day off, and I admit it, I didn’t write on my novel. 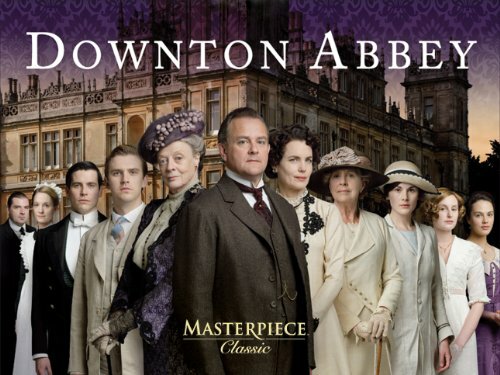 I had a Downton Abbey marathon. It felt good to be a bum for a day. Real good. ROWmodel of the week goes to Jessica Fritsche and her post, Know When To Fold Em. After struggling with her WIP finding hole after hole, she set it aside to go back to a different project and is a busy writer bee using this new project for her NaNo novel. She cracked out 4,000 words in one day and sounds like she’ll keep going strong! Go Jessica, we’re all rooting for you! Honorary ROWmodel of the week also goes to Myndi Shafer for Making It Happen: Work How You Can, When You Can. You’ll never guess where Myndi sometimes goes to get her writing done. This girl’s got gumption; and she’s using it to make her dreams come true! The 2013 TBR Pile Challenge has kicked off! So exciting!!!! Adam at Roof Beam Reader has launched the 2013 To Be Read Pile Challenge! Haven’t participated before? You must! I love it! The challenge, should you choose to accept it, involves picking 10 books (plus 2 alternates) off your bookshelf that have been sitting there for at least a year. 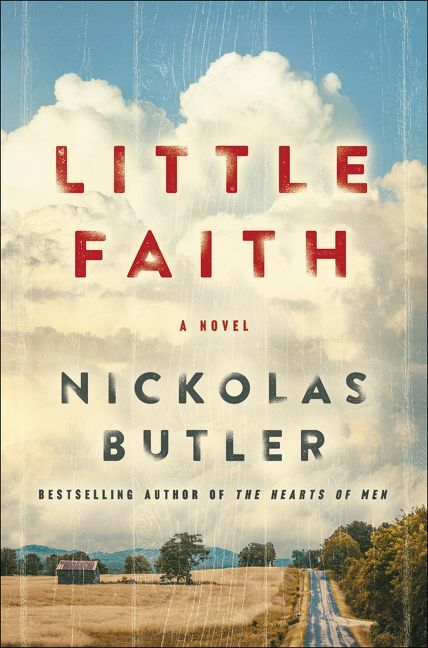 Books with a publication date of 12/31/11 or before all qualify. You have the course of 2013 to read your 10 books and link back a review of the book along the way. Complete the challenge and you could win a $50 Amazon gift card! I’m working on my book list now! What titles would be on your list? Looking for some new jams? 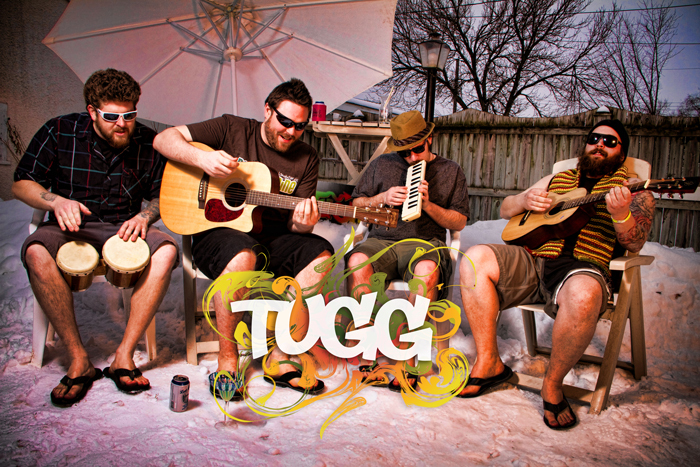 I’m hosting a music giveaway with Wisconsin Reggae band, TUGG, for a FREE copy of their full cd, Come Sunrise. All you need to do to enter is comment or tweet one of the interview posts I did with the lead singer, Andrew Hughes. Part 1 is about the changing music industry and Part 2 is about social media and the music business. Chime in! We’d love to hear your voice! Last, but not least, The Redhots are back! Tune in this Friday for another FIERY edition of The Redhots! Marcia Richards and I are back introducing you to two REDHOT ladies you’ll want to know on Twitter! Want a hint for who it’ll be? The first is going to tell you how to feng shui your house! And the other is the founder of the largest book club in the world! Two Redheads. Two Opinions. Keeping it REDHOT. Share with me, my pretties! How was your holiday? How is ROW80 going? What books are on your TBR list? Could you use a new reggae cd? And who do you think our Twitter guests will be? What Do You Do When the Book Doesn’t Live Up to its Hype? We’re in the final two months of the To Be Read Pile Challenge, a year long contest where many of us are trying to read through 12 months of books that have been lingering on our bookshelves too long. Over the course of this year, I’ve already acquired the titles for 2013’s list! Haven’t you? The rules of the contest allow us to have two alternatives, in case one of the titles doesn’t keep our interest, we can can “opt out” so to speak and pick a different book. Here’s my list for 2012. 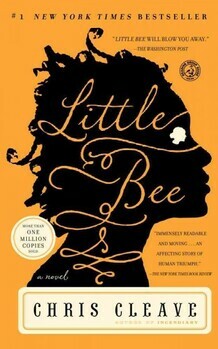 Little Bee is an exceptionally well written book with great characters. I bought this book while on vacation after the sales clerk told me she couldn’t tell me what the book was about; I was just supposed to read it. She said it all very excited. You read the book. You love it. And you tell your friends to read it. But…you tell them nothing of the story. It wasn’t what I was expecting, but I think I get why this book is being marketed as such. To discuss the story, would dilute the story. The magic of this book is that it forces you to think about a wealth of issues that you weren’t expecting it to. And a really good reader will place themselves in the book either as a character or right alongside them. And so I asked myself, what would I do in this situation…? I kept reading the reviews from everyone, and there were a lot of interesting theories. 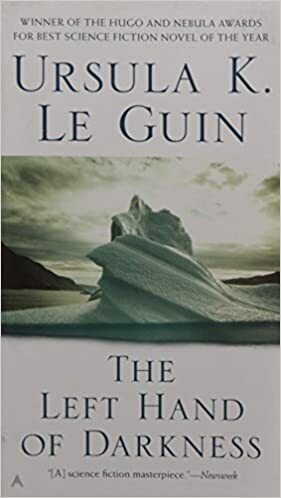 Some believed the book was outstanding, and that the detriment to its rank came from the over-abundance of praise, spoiling the book for its readers and not letting its worth stand on its own. I also learned that there had been a title change from the European release to its American one! Which title grabs your attention more: Little Bee or The Other Hand? Geek Love by Katherine Dunn. I began reading this one in the summer, was loving it immensely, and it sort of fizzled halfway through. 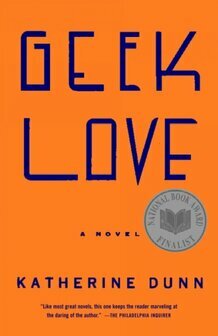 Should I finish reading Geek Love and hope it picks back up? Or, do I move on to one of my alternative titles? What do you do when a book doesn’t live up to its hype? Oooh, and please suggest a title for my 2013 TBR Pile Challenge! If you leave one for me, I’ll give you one back! The only rule is it has to be at least a year old, so published in 2011 or before. Thanks, readers! I’ve Been Totally Missing Out on This Hogwarts Thing! Some weeks you just wish for a mulligan. I had hoped by this week I’d be reporting in fabulous word counts thanks to Fast Draft and a holiday week where I was determined to hang with #teamsprinty all afternoon! So on my second day off, you’d think I’d take it easy. I went to the coffee shop and started working on my WIP. I did, I wrote a few paragraphs, and then I got hungry. And I ordered a sandwhich with creamy cheese on it. Stupid, stupid, stupid! I immediately felt sick again! Then it was back to work where I’ve put in extra hours regularly for the last 2 weeks. But saturday was a new record. We were Christmas-like busy and had an epic number of life events/sick calls. It was crazy – peoples parents were admitted to hospitals, others daughters were delivering a baby, someone scratched their cornea, others played phone tag about coming in, and some just didn’t show. To say I managed a skeleton crew is an understatement! I worked two hours myself in fine jewelry and then a half hour in juniors, and before I left closed half the department store’s registers to where I was starting to count cross-eyed! I turned right around to return to work on Sunday and Monday leading new hire training, which I love doing, but was exhausted from all the talking and running around. So when Tuesday rolled around, I didn’t work on writing. I didn’t wake up early or exercise. I slept in. I read Harry Potter, which has been my wonderful, magical escape each night before bed! 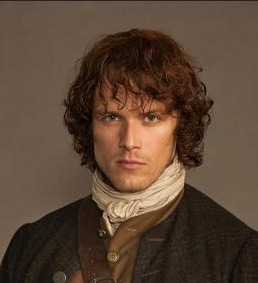 I ate another taco and feasted on dark chocolate while watching reruns of Dr. Quinn Medicine Woman. It felt wonderful. But I’m still motivated by you ROWers to make changes. Elizabeth Anne Mitchell in particular gave me a good boot with her ROW update last week to make small changes for a bigger impact. I’m taking her advice this week and setting aside a half hour each day to write. It’s much easier to fix a page with words on it than a blank one! A plus side is that I visited a lot of blogs this week! I loved reading the innovative and inspiring posts you’ve all written. Below are my recent faves about writing, new book launches you should know about, and my favorite fun reads! 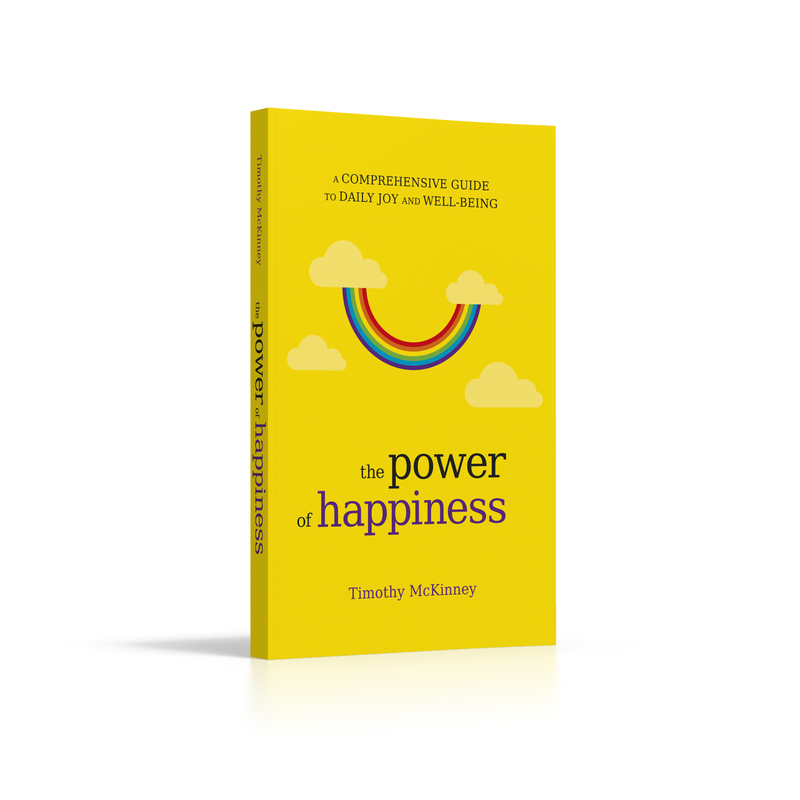 And Don’t Forget: I’m hosting a book giveaway of 3 e-book copies of Timothy McKinney’s The Power of Happiness. You can still enter to win by leaving a comment here before Sunday, September 16th at 5pm. One of my favorite posts EVER by the amazing and hilarious Jenny Hansen is 3Writer’s Commandments and Avoiding the Dreaded ‘S’ Word. Hear first hand how Jenny learned to never quit, write her story her way, and finish what she started. Sounds like useful advice right? So, READ IT! She also brings you fantastic links to NYTBS authors’ stories and gives props to the peeps that helped her along her journey. Love this post. Love that woman! Did you all get to read fellow ROWer, Julie Glover’s, post about writing this week? I’m Awesome! I’m Awful! Epiphanies While Editing and ROW80. We have so ALL BEEN THERE! I swear I’ve said this before, but if you’re NOT following August McLaughlin’s blog, you’re ridiculous! She is a favorite blogger of mine and has some of the most well written, introspective, thought provoking posts out there on real stuff! Check out her recent post, Carving Out Alone Time: 10 Tips for Creative Artists. Jody Hedlund asked the question What to Do When People Don’t Get Your Story? Experiencing first hand and sharing a friend’s tale, Hedlund gives you the best of both critique acceptance and staying professional. Looking for inspiration on the upcoming ROW week? Rachel Funk Heller blogged about our fear of failure and our fear of success. She’s making some changes in her life, and inspired me to do the same. Gr8ful4: Mediocrity, Fear, and Why I’m Giving Up Sugar. As it is now Football Season, what better way to get in the mood with a little YA mystery set on a football field? Tiffany A. White just self published her first novel, Football Sweetheart, and it’s soooo in my queue to read this fall! Aimee Freeman is looking forward to the start of her senior year. She knows her best friend Ella has been keeping secrets from her all summer long, but with football season right around the corner, the student trainer decides not to worry about it—they’ll have plenty of time to catch up on the field. Then Ella goes missing, and Aimee realizes those secrets might be the key to finding her. As the case unfolds, Aimee discovers more than one person may have wanted to harm Ella. 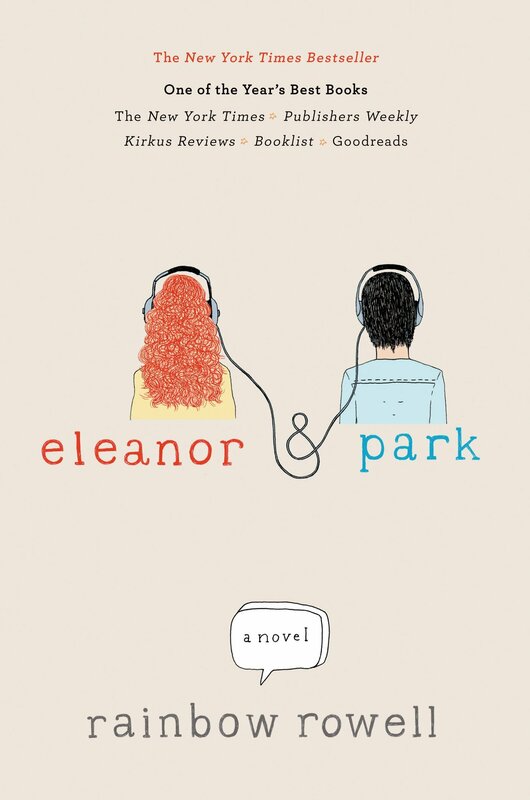 Was it Ella’s current boyfriend, a social outcast the entire city seems intent on blaming for her disappearance? Or her ex-boyfriend, the beloved star quarterback who has harassed Ella since their breakup? The list of potential suspects continues to grow after Aimee reads Ella’s journal, but she must first break her best friend’s secret code to reveal their identities. Unbeknownst to Aimee, her investigation has not gone unnoticed. Ella’s abductor is watching and waiting. Will he decide Aimee needs to be silenced—making her the next target? Nothing can explain to Aydan Fulbert how she survived the savage attack in the woods. Why her left eye, instead of being blinded by the injuries she’d sustained, had simply turned a shocking shade of silver. And nothing can explain the fact that she can hear the Stranger speaking in her mind – or that she can answer him back without using her mouth. Nothing can explain it – unless he’s telling the truth. Nothing can explain the things the Stranger knows about her – things that she, until just a few hours ago, hadn’t known herself: that she’d healed faster from her injuries than was humanly possible. That the cruel family she’d been raised by isn’t biologically hers. That her stepfather is now hell-bent on bringing her to his own form of justice for a crime she didn’t commit. Nothing can explain why she so easily agreed to go with the Stranger. Why she didn’t find the notion of another world ludicrous and impossible. Why she didn’t cut and run the minute he explained where he wanted to take her. Nothing can explain it – unless she believes he’s telling the truth. Aydan knows she’s being intentionally naive. She knows her decision to follow the Stranger is at best, reckless. At worst, deadly. …unless he’s telling the truth. 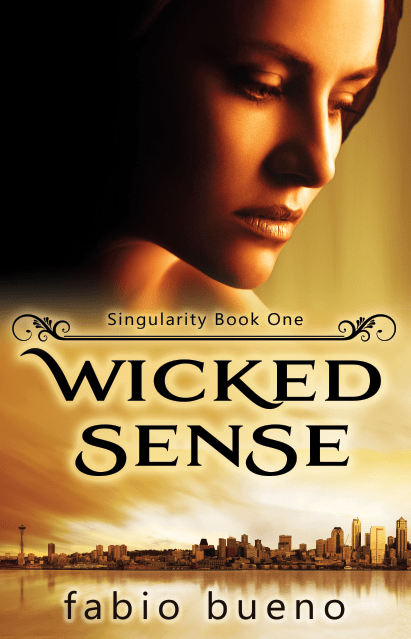 And if you’re craving even more witchy goodness, do seek out Fabio Bueno’s Wicked Sense. The paranormal romance that just might get famed by the Redhots! What say you, Fabio? Be our Valentine? What was your first kiss like? Myndi Shafer tells the tale of her awkward adolescence in First Kiss, and it’s a good one! Elements of jealousy, secrets, saliva, and shame all make their way in! Fans of Ellie Ann Soderstrom’s Tall Tale Tuesdays will love this gorgeous photo blog she shared on What I Did Last Summer. Adam at Roof Beam Reader is hosting an LGBT Readathon in honor of LGBT Awareness Month! The Literary Others: An LGBT Reading Event This event is hosted with only positive, and accepting participants please! He’s put together an awesome list of book ideas both written by LGBT authors and books with their characters or themes LGBT related. Thanks Adam! My lovely literature friend, Jillian, at A Room of One’s Own, turned me onto the Harry Potter Readathon and is loving the series too. She had a fun conversation with a coworker over the question What is Your Favorite Book? Harry Potter and the Chamber of Secrets. With advice on happiness from Aristotle to Drew Barrymore, Thich Nhat Hanh to Jimmy Hendrix, Gretchen Rubin to Abraham Lincoln, the author of The Power of Happiness has you covered. In his new book, The Power of Happiness, Timothy McKinney shows readers how to be happy from the inside out. Happiness is about more than just a positive attitude or a good mood. Happiness comes from a deep sense of well-being that allows a person to be happy regardless of external circumstances. The Power of Happiness gives deep insights into what happiness is and how to reduce worry, stress, and frustration. By learning how to have different responses and reactions to the situations faced every day, readers are able to be happier with the life they have now! After exploring what happiness is, McKinney goes on to discuss how to overcome unhappiness. Readers with a negative attitude will learn what to do to turn their thoughts around. The last part of the book contains ten “hows” of happiness—ten keys to creating a happier life. Readers who want to learn how to be happy no matter what circumstances they face are sure to love The Power of Happiness. Many of you know that I started blogging and writing again after reading Gretchen Rubin’s The Happiness Project a few years ago. I have a love/hate relationship with Rubin’s book because while I valued her advice and story, it all seemed so easy, too easy. Where McKinney’s book differs is that it has the same research and study involved of how we can identify and test happiness, but the second half of the book (my favorite) is actual practices for the “HOW” of happiness. There are pages and pages of scenarios, list making, and activities to challenge the way you think and react to situations. It allows an ongoing learning process for its readers. So all of you are probably scrolling through my post right now searching frantically for the quick tips to happiness that I gleaned from McKinney’s work. Well, there’s too many to name! All the expected tips such as diet, exercise, sleep, work engagement, love, service, safety, money all make an appearance. But much of the research about how these factors affect you may surprise you. One of the big takeaways I read is that happiness requires relationships. I don’t mean couple specific, I mean people in general. 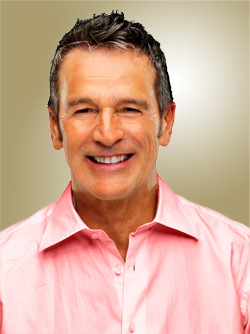 Relationships are an integral part of our self esteem, our affirmations of work and talents, and our ability to give. Service to others and kind word exchanges with others are crucial to how happy we feel. And this can come in many forms: surprising your neighbor with fresh baked cookies, volunteering at a food pantry, telling a coworker you appreciate them, being a cheerleader on Twitter for your tweeps, hugging your spouse/parent/child, etc. All of those can be affirmations to our spirit, our ability to quantify happiness. You know what was the most interesting to me, both as a writer and as someone who is disgustingly self aware (this is both a positive and negative trait because it means I’m my own worst enemy)? McKinney studies happiness, but he also has a chapter that dives into feelings behind unhappiness. The exercises in this book could be used as awesome tools for character sketches. It makes you think about how people act, or could react, to situations. What skills in their being help them cope, what is their natural disposition, what words identify them and what words do they wish identified them? Besides helping you create characters, this book could be read over time and used for further journaling activities. It’s very well laid out, and all the exercises are helpful; you could really delve into the philosophy behind each of the chapter’s steps. Plus, every chapter starts with a quote on happiness by a plethora of famous individuals and sometimes an inspiring quote is all you need to be inspired. Overall, I highly recommend McKinney’s book. The second half full of exercises is well worth the read. I don’t think the author writes with band-aid fix-its to finding happiness. He gives you the research behind it and then provides multiple tools to try, with scenarios as examples and exercises to practice. It’s one of those books a reader can return to a year later and still find something new, something more that they can learn about themselves. Actually, I think that’d be really interesting since one of the chapters graphs the spikes in happiness over generations and ages. Wouldn’t it be a fascinating thing to watch and track how your happiness gage changes from decade to decade? Don’t you want to read this book now? Well, you can! 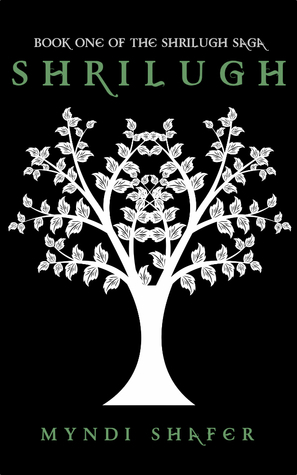 Timothy McKinney has graciously offered to giveaway 3 e-book copies! Share a comment below and let us know what your thoughts are about our ongoing pursuit for happiness. How has your perception of how happy you are changed over time? All those who comment will be entered to win one of the copies of The Power of Happiness. Comments must be made by Sunday, September 16th at 5pm. And tune in again on Friday when Timothy joins me to answer the age old question: Can money buy you happiness?